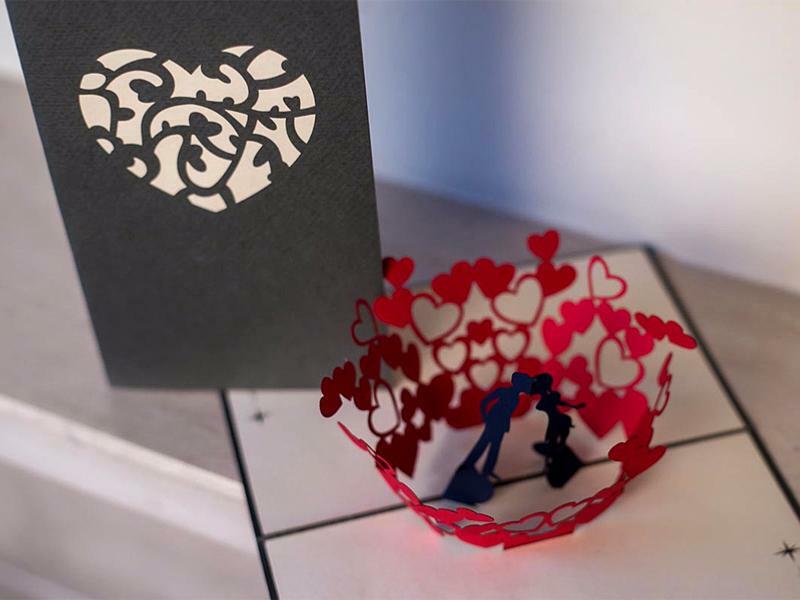 A filigree effect heart motif is laser cut into the cover. 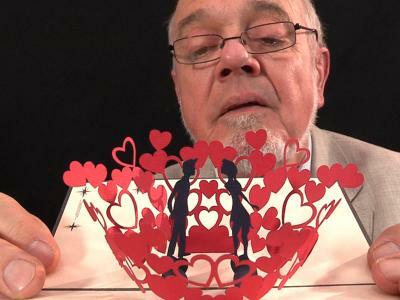 Inside you reveal a couple surrounded by hearts, who come together in a kiss as the card is opened. 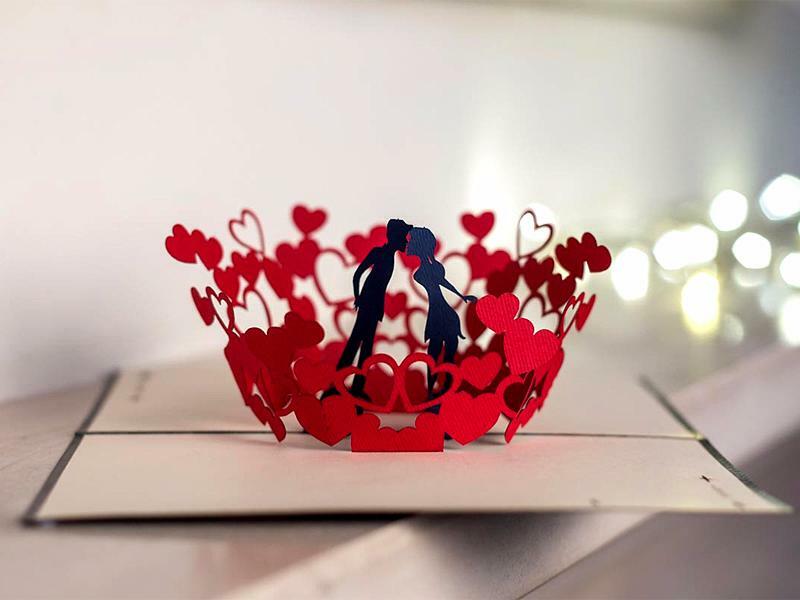 A unique gift in itself, the card is made from quality FSC-certified paper, and is designed to provoke an amazing reaction from the recipient. It can be used to celebrate love, be it an engagement, wedding, anniversary or to simply tell a loved one you are thinking of them. 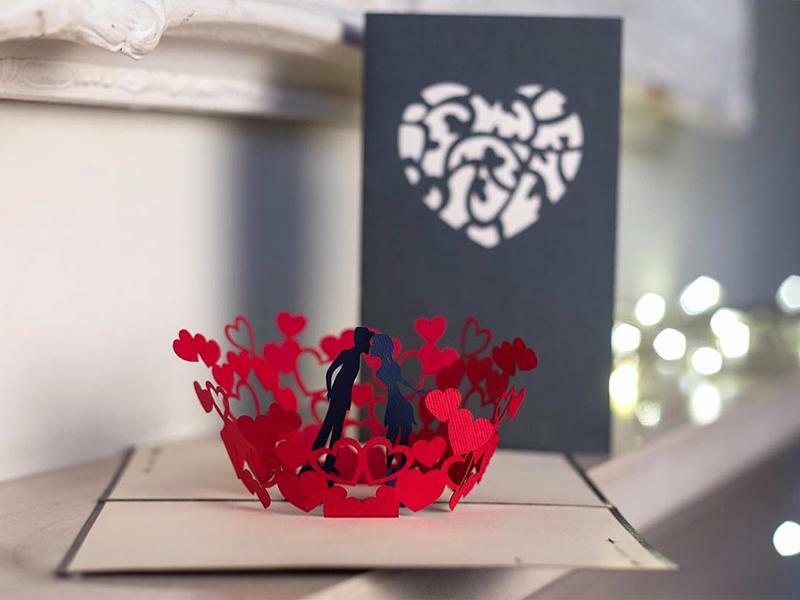 Inside, each piece is individually laser cut and slotted together by hand, before being anchored with hand-stitched thread into the card, allowing the kissing couple to ‘come to life’ when the card is opened. The card is approximately 10.5cm by 17.5cm (l x w) when closed, and 17.5cm by 21cm by 6cm (l x w x h) when open. The card was very much appreciated. Original and expressive. Excellent quality and well packaged.